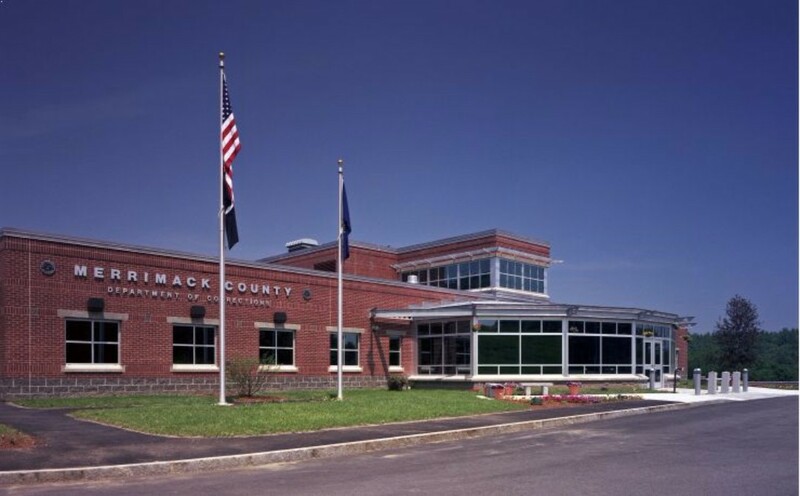 Two prisons that sit about 200 feet apart on land owned by Merrimack County in Boscowen, NH are now being heated by a new central biomass boiler plant that was built between them by Froling Energy in 2016. 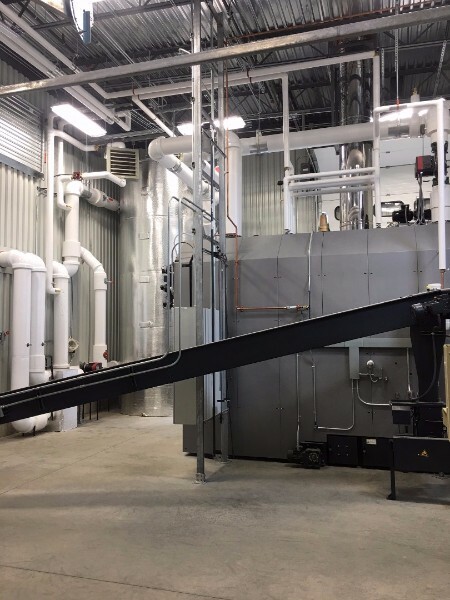 The new building contains a single Viessmann Vitoflex 300-UF Model KPT-1250 biomass boiler and an innovative “rake-type”, 50-ton wood chip storage system that feeds it. Connecting walkways were also built to tie the two prisons together and these nicely enclose pipes that transport hot water from the 3,300-gallon buffer tank to the two prisons’ heat distribution systems. 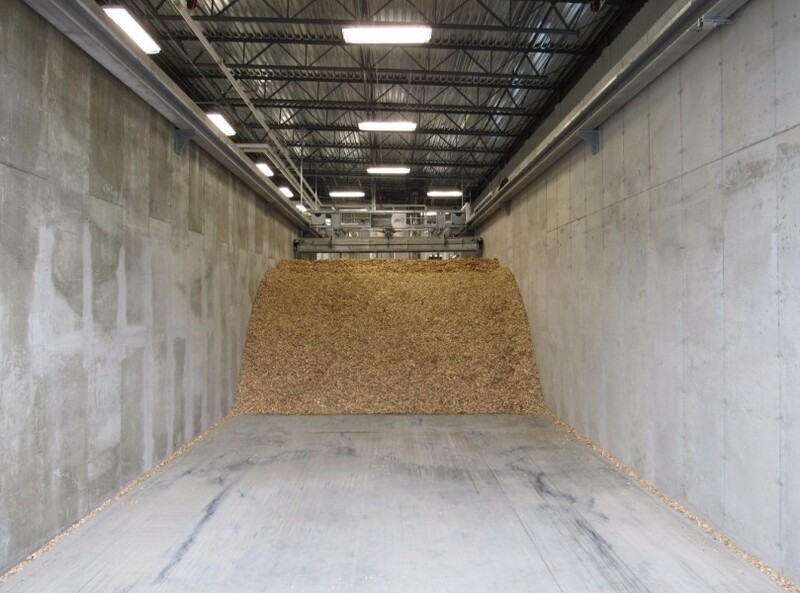 It is expected that over 1100 tons of screened green wood chips will be consumed annually, offsetting the use of about 92,000 gallons of fuel oil. 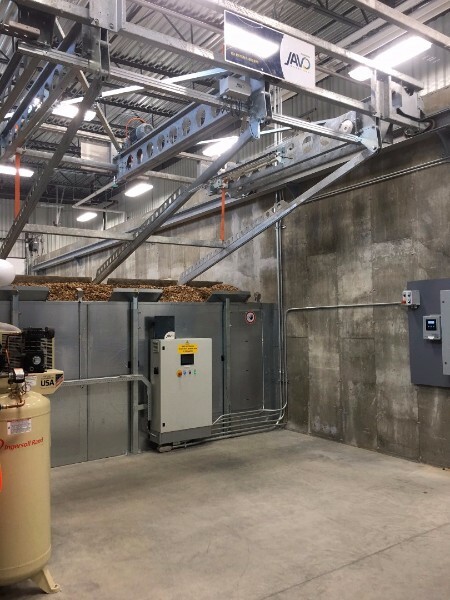 The project was contracted through Johnson Controls Inc.
A combination of the highly efficient Viessmann boiler and wood chips performs so well that the only emissions control mechanism required is a multi-cyclone on the output stack. This boiler system generates 3000 NH T-RECs per year. 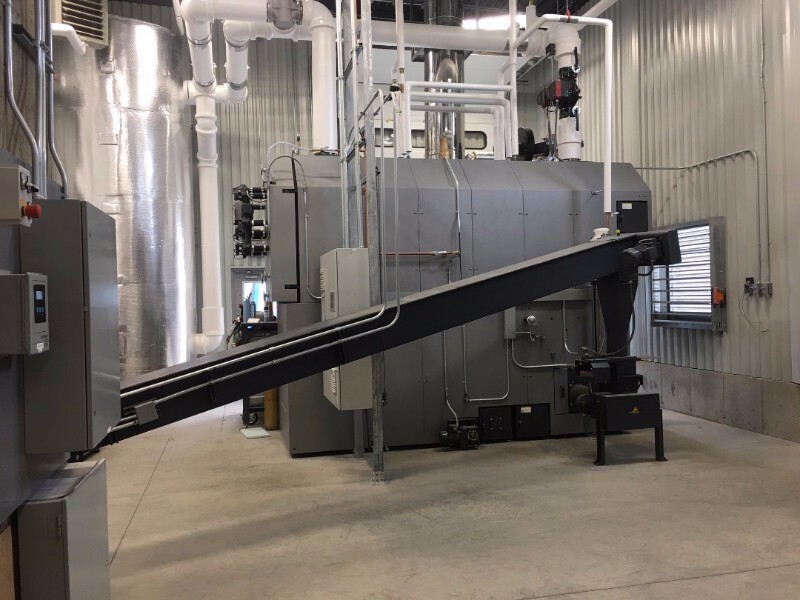 The largest Viessmann Vitoflex 300 boiler heats two prisons. 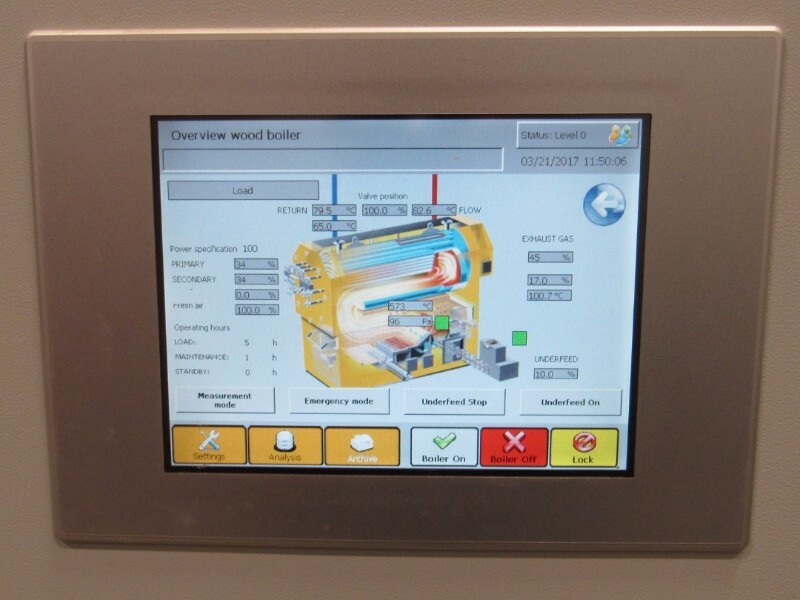 The built in touchscreen gives easy access to real time boiler status information, stored performance data and settings. Two walkway connectors tie together two prisons. The new boiler house sits between two prisons--and heats both of them. The Javo Toploader automatically draws all fuel towards the boiler augers. After being dropped off, chips are pulled towards the boiler. 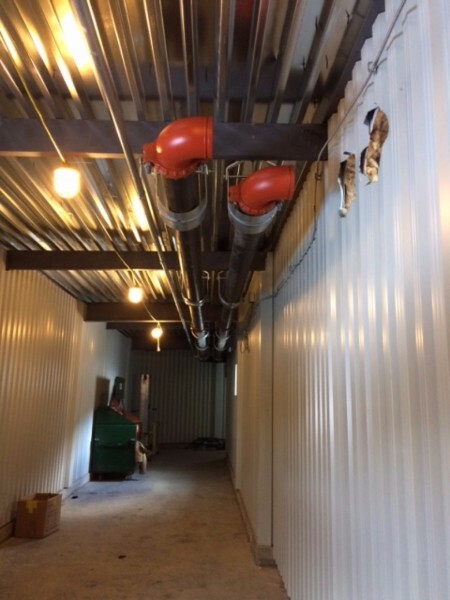 Large diameter heat pipes run above ceilings in the new walkway corridors. Live floor semi-trucks back into the silo building to drop wood chips on the floor. 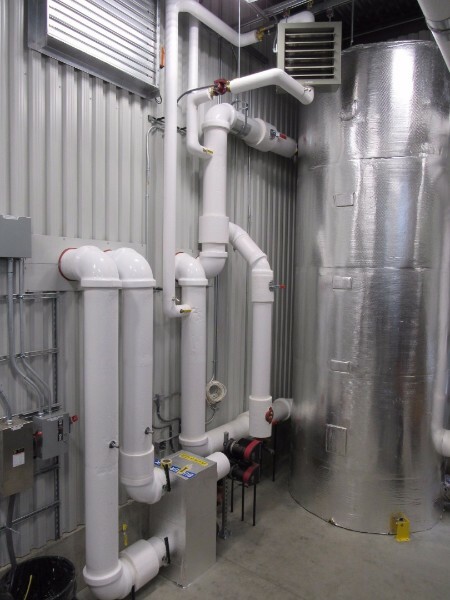 A 3,300 gallon buffer tank is kept hot for a quick heat response.